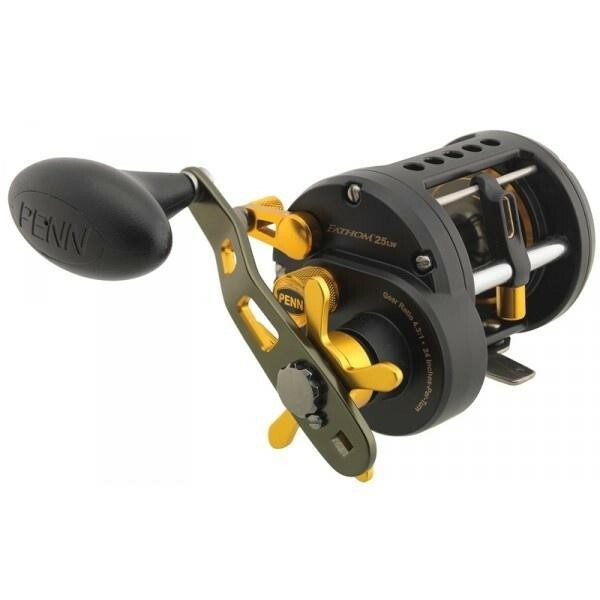 The Penn Fathom range of levelwind boat reels are designed for modern boat fishing with either braid or nylon. The full metal body, powerfull clutch and power handle make for tough reels which punch way above their size. The range goes from the sporty 15 right through to the powerful 40 so there is a 'Fathom' to suit anything from inshore bream to giant Norway cod.